Made his debut with Zalgiris-Sabonio mokykla Kaunas, NKL (Lithuania) during the 2005-06 season. Signed for the 2008-09 season by BC Kaunas Triobet. Signed for the 2009-10 season by BC Zalgiris Kaunas. Signed for the 2010-11 season by Rudupis Prienai. Signed for the 2012-13 season by BC Zalgiris Kaunas. 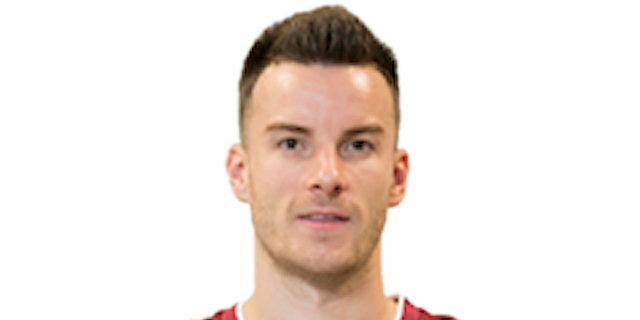 Moved to Germany for the 2013-14 season, signed by Eisbaren Bremerhaven. Back to Lithuania for the 2014-15 season, signed by Lietuvos rytas Vilnius. In November'16 moved to Spain, signed for the 2016-17 season by Zaragoza CB. Back to Lithuania for the 2017-18 season, signed by Lietkabelis Panevezys. In January'18 moved to Turkey, signed by Galatasaray Istanbul. Named 2017-18 EuroCup Round 5 MVP. Won the silver medal at the 2008 European U-20 Championship. Member of the Lithunian University National Team.